Synopsis: Life is full of spiritual warfare. Every struggle and conflict faced in the physical realm has its root in the spiritual realm. With passion and clarity, Sawyer elucidates spiritual warfare so that readers can tackle challenges and obstacles with spiritual power - God's authority - through his word. 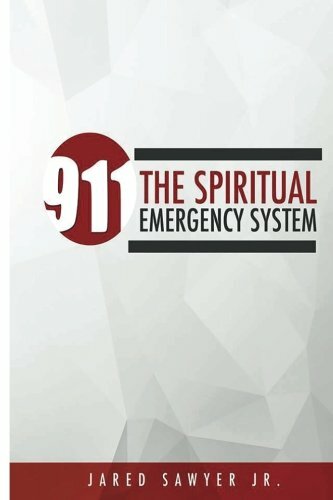 The principles in 9-1-1: The Spiritual Emergency System will prepare you to battle spiritual warfare, pursue the unseen opportunities along life's journey, and reach maximal levels of strength, courage, and integrity. Jared Sawyer Jr. is compelling, down to earth, and excited for you to experience your victory in Christ and embrace the life, hope, and purpose God has for you. About the Author&colon; Jared Sawyer Jr. at the age of 18, boasts a successful career as a motivational speaker, bestselling author, syndicated television and radio commentator, conference host and pastor. Jared garners thousands in attendance at his renowned youth and young adult conferences annually. Jared Sawyer Jr. has sold over 50,000 copies of his two published books. A YouTube Sensation with millions of hits, Jared has been known as the “voice of today’s generation”.